May 5th, 2014 - Posted in Lower East Side. When most people think of Manhattan, they think of the grand stores and fancy high-rises in Midtown and the Financial District. 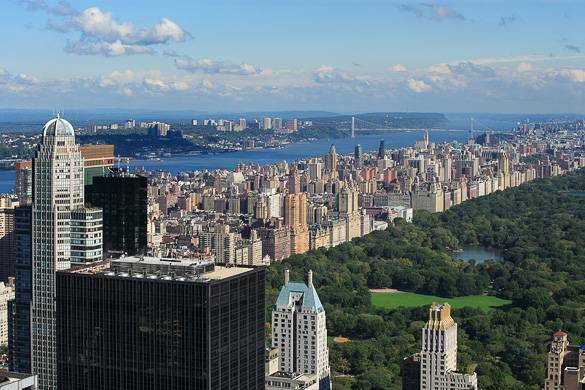 What most people don’t realize is that it’s often the smaller neighborhoods which offer the richness and diversity that has made New York City famous throughout the world. This is especially true for the Lower East Side, making it a premier destination spot for anyone looking for an authentic New York City experience. The Lower East Side was for many years a working class neighborhood, home to immigrants who left their mother shores for prosperity in America. As such it has hosted a diverse group of people and cultures, including Jews, Italians, Irish, Poles and Ukrainians, and was at one point even known as Little Germany. More recently it has been home to Puerto Rican and Dominican communities, though in the early 2000s it started to undergo rapid gentrification. It now features upscale boutiques and swanky restaurants. An historic neighborhood, it is best known for its cultural landmarks and lively late-night music scene. The Lower East Side is generally bordered by East Houston Street to the north, Canal Street to the south, Bowery to the west, and the East River to the east. 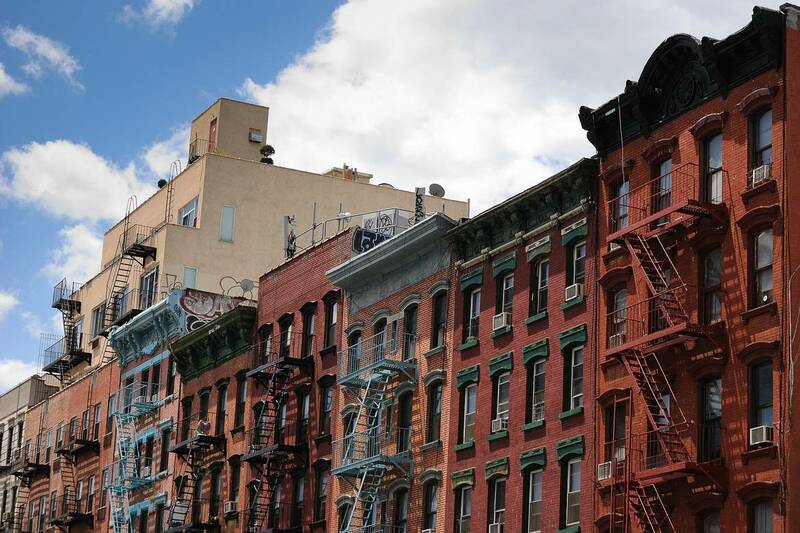 Due to a combination of forces, The National Trust for Historic Preservation has placed the Lower East Side on its list of America’s Most Endangered Places. Nearby subway lines include the J, F, and M lines. 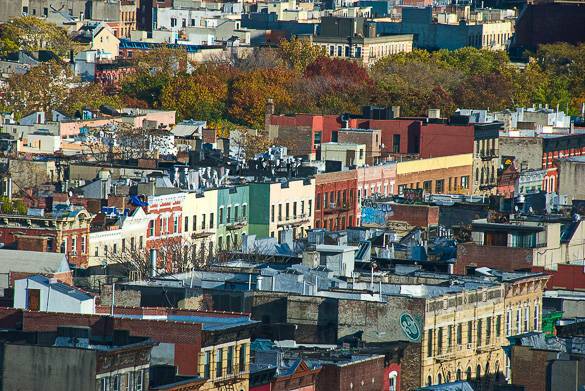 What’s the best part of shopping in the Lower East Side? The prices! 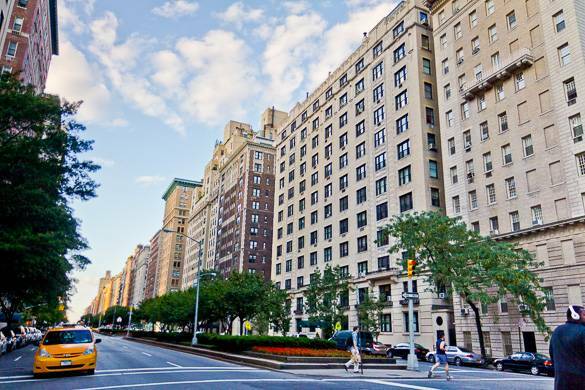 Famous streets like Park Avenue may be able to get away with shockingly high price tags, but those with taste and a budget always find themselves in the Lower East Side. Orchard Street is one of the best streets to go shopping in the Lower East Side. 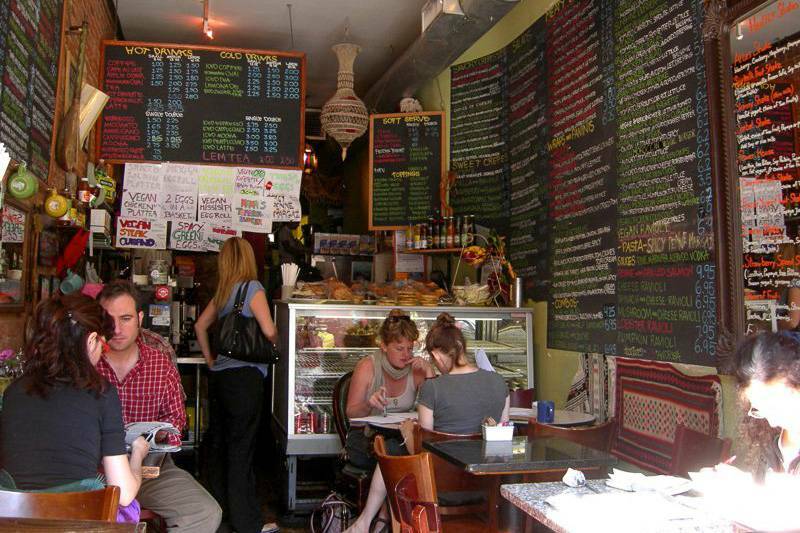 It is mainly occupied by delis and boutiques, but if you get the chance you should definitely check out the nearby Bluestockings, a famous bookstore, fair trade café, and activist center only a block away. They host new events daily, so it’s worth multiple trips. No shopping spree is complete without a visit to Delancey Street as well. Home to mostly young professionals, Delancey Street is one of the main roads in Manhattan as it connects to the Williamsburg Bridge and Brooklyn. 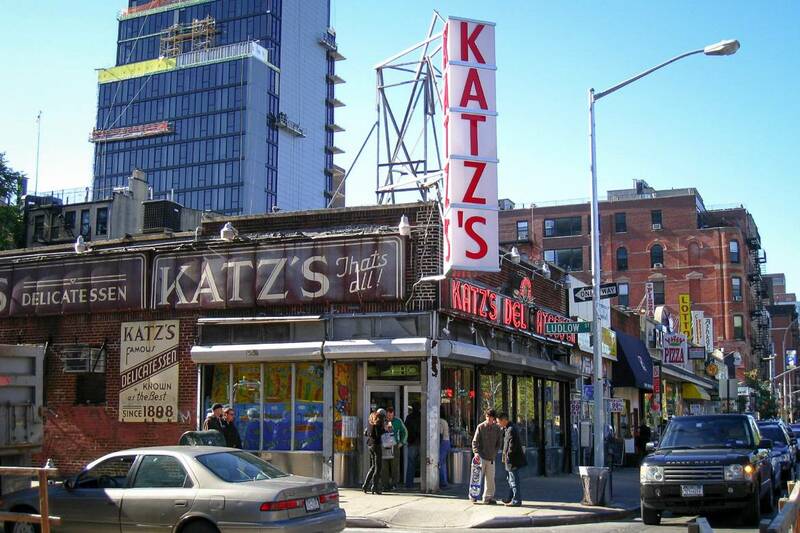 It is historically known for its thriving Jewish culture, bargain clothing stores, and the Essex Street Market. 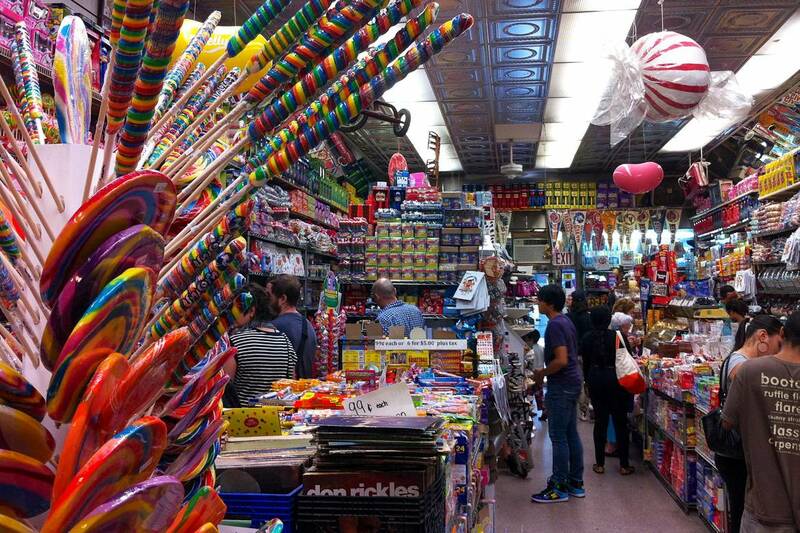 If you have a sweet tooth, don’t leave without visiting Economy Candy on Rivington Street, only a block away. Otherwise, the Essex Street Market is undoubtedly the hub of activity on the Lower East Side. It’s home to over 20 merchants, each specializing in a wide variety of gourmet culinary products. Try food from around the world during their annual Melting Pot Food Tour. One of the most famous shops in the market is Pickle Guys, which sells New York City’s favorite homemade kosher pickles. One of the benefits of such a culturally diverse neighborhood is that you’ll never get bored with the food! 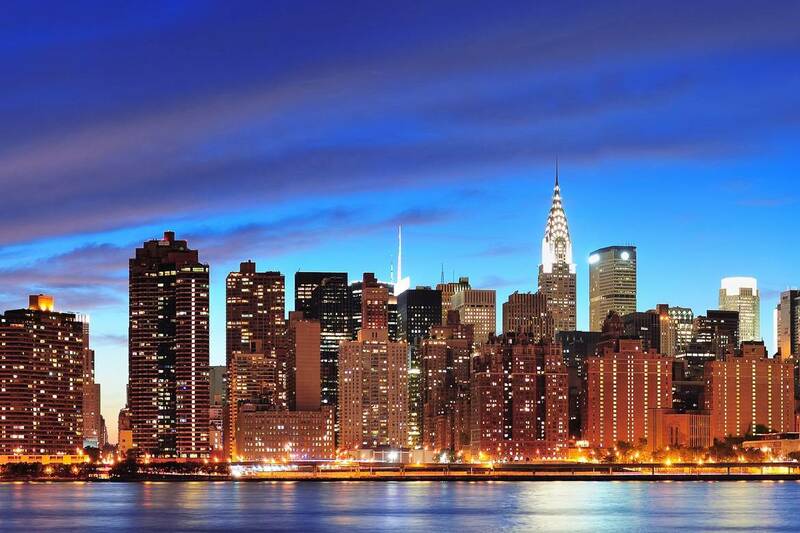 Here are a few places we’ve selected that offer the best food New York has to offer. Who doesn’t love a great cup of Joe? For some of the best roasts in town visit the Roasting Plant Coffee Company, The Atlas Café or Lost Weekend. Besides having great coffee, Doughnut Plant is justifiably known for their fabulous doughnuts, and more than one customer has had to resist the urge to try all their fabulous varieties. The Berkli Parc Café specializes in adding unique flavors and ingredients to its brews, and don’t leave town without trying one of Kung Fu Tea’s magnificent bubble teas. Speaking of, the Lower East Side is right next to Chinatown so be sure to check out our Video Tour of Manhattan’s Chinese Neighborhood! For an upscale evening or an artsy date, Apizz and Verlaine are your best options regarding restaurants. Bario Chino also falls in that category, particularly if you’re seeking an Oriental flair. Otherwise, Katz’s Delicatessen is famous for serving the best pastrami and hot dogs in New York, but go after 2pm to avoid the lunch rush. And if you stop by the Meatball Shop be sure to let us know which kind was your favorite – no one can agree! But save room for dessert at the Clinton St. Baking Company because their pumpkin cheesecake is to die for. The Lower East Side is also a great place to grab a bite if you’re on a budget. Dumpling fans should definitely make time to visit Prosperity Dumplings and Vanessa’s Dumpling House. Although there are few things more American than a good burger from Mikey’s Burger, their chili cheese dog might be up there. Other great places include Tiny’s Giant Sandwich Shop and guacamole from Taqueria Lower East Side. Have you ever watched an American Western where the cowboy swaggers into a bar, all boots and leather? Well put on your hat pard’ner, and slide into Boss Tweed’s Saloon on Thursdays for great drinks and a great show. The Ten Bells and Local 138 offer a more demure atmosphere, while Subject and Attaboy bring life to the neighborhood with their classic NYC themes. Clandestino is the place to be if you’re seeking local beers, but they also make a great Whiskey Mac. If the vibrant neighborhood, active nightlife, and affordable prices aren’t enough of a reason to stay in the Lower East Side, the architecture is. 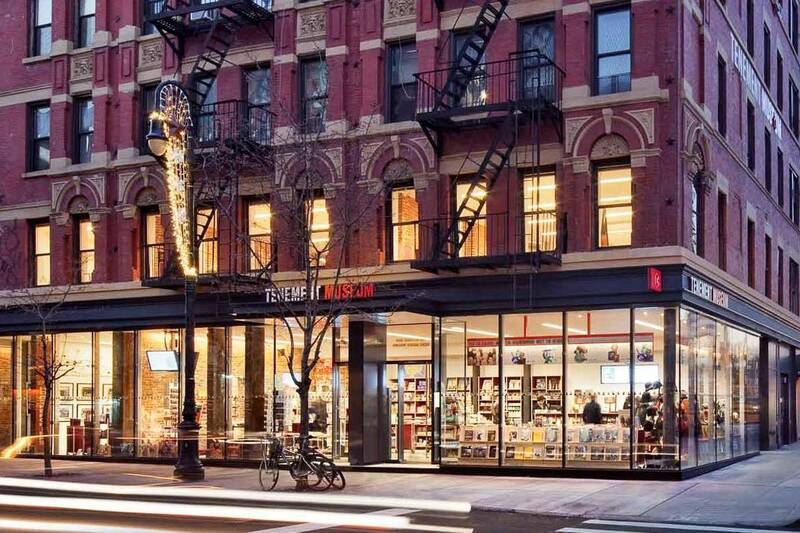 Living in the neighborhood is like walking through a cultural mosaic, so whether you’re looking to live with a roommate or rent a whole furnished apartment to yourself, the Lower East Side has something for you. For shorter-term visits, definitely consider staying in a vacation rental apartment, as it’s often less expensive and more fun than booking at a hotel. You’ll be right in the middle of everything, and we guarantee you’ll leave with a more authentic perspective of this beautiful city. Whether you’re chatting with a nineteenth century immigrant or picturing yourself on Hollywood sets, thanks to the rich heritage of the Lower East Side you’ll never be bored! The Lower East Side is most known for the fact that not one, but two major bridges connect to it. The Williamsburg Bridge connects Manhattan to Brooklyn via Williamsburg and was at one point the longest suspension bridge on earth. 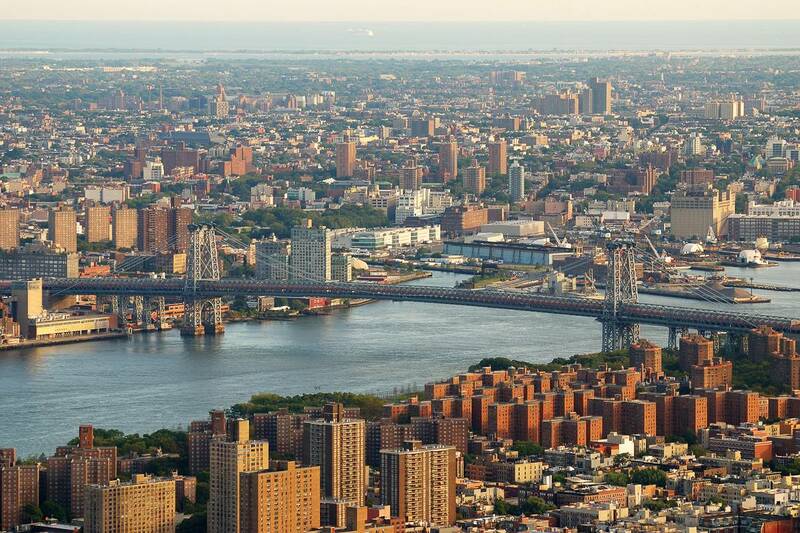 Equally famous is the Manhattan Bridge, which unites Manhattan with the fancy Brooklyn neighborhood of Fulton Landing. It is most known for its extremely grand entry arches, and is featured prominently in famous films like King Kong, Batman: The Dark Knight Rises, and Once Upon a Time in America. If you’re interested in bridges, our article on the Top 5 Bridges in New York is definitely worth the look! 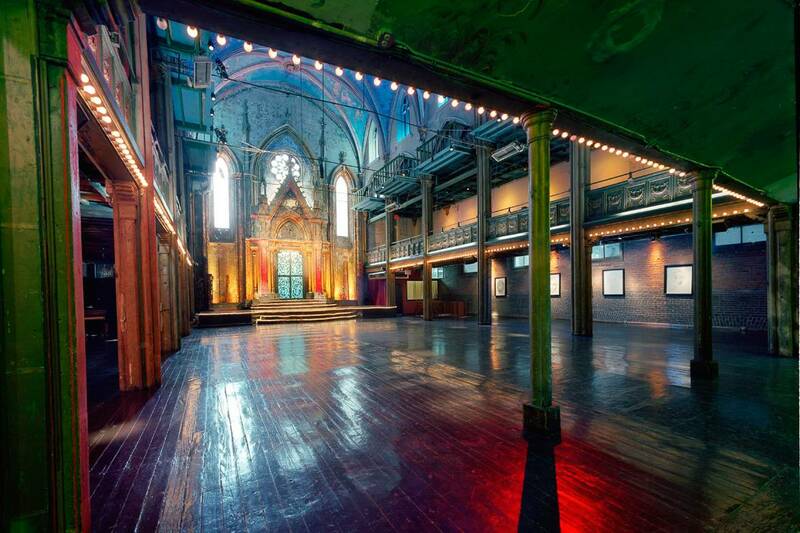 Another great landmark in the Lower East Side is the Angel Orensanz Center, an event center featuring great artists, writers and thinkers from around the world. There’s no better time of year to picnic than the spring, and no better place to go than the East River Park. With 57 acres of waterside property, this park is a great place to relax or jog, and the amphitheater hosts an annual indie rock concerts each summer. Though smaller, the Sara D. Roosevelt Park is also a hub of activity with its own courts and fields. If gardens are more your speed than parks, definitely drop by La Plaza Culturel and M’Finda Kalunga Community Garden. Both parks are a beacon of wildlife in the concrete jungle, featuring grand trees and beautiful flora. M’Finda Kalunga even has some famous local residents – a group of domesticated chickens that were “donated” to the park and now call it home! For a touch of elegance, visit the beautifully restored Museum at Eldridge Street, a bastion of both architecture and Jewish culture. The Tenement Museum is also a huge hit with New Yorkers, due in large part to their guided tours. Museum-goers can interact with costumed “residents,” as well as learn what life was like for turn of the century immigrants. 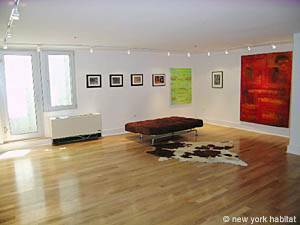 Get your culture fix at the Culture Fix, an artists’ space right off E. Houston Street on Clinton Street. Otherwise check out Landmark Theaters’ famous Sunshine Cinema for a taste of New York’s best independent films. Still not satisfied? For a more in-depth view, take a peek at Part 1 and Part 2 of our video tour of the Lower East Side! Of course, with a neighborhood as diverse and eclectic as the Lower East Side all this is just the tip of the iceberg. What are your favorite local spots to visit?